County’s Foster Program is always looking for volunteers! This program helps give animals a second chance at finding their fur-ever home. Our next class is tomorrow, Saturday, January 26th at 9:30 am. 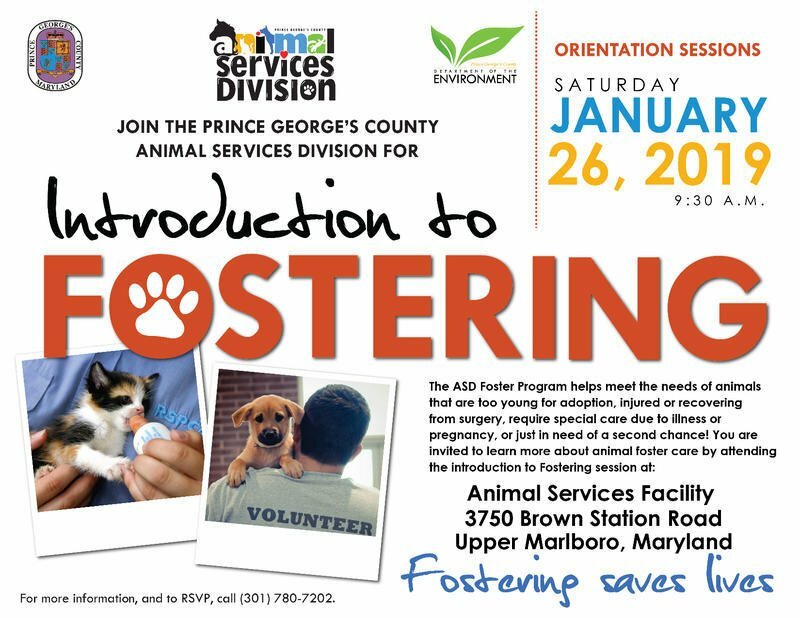 For more information on the foster program, and to RSVP, call 301-780-7202.